Amazon doesn't make a big deal of talking about storage on its Kindles since books take up so little room. But when it comes to comics that's another matter, one that's resulted in a special new Amazon Paperwhite Manga edition that you'll want but struggle to own. 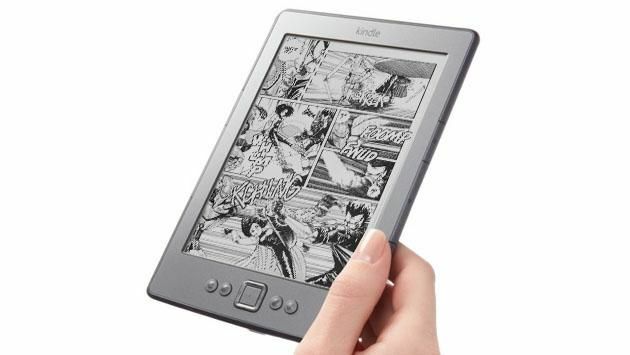 The Paperwhite Manga, as the name suggests, is built for comics. That's why it comes with eight times the normal storage packing 32GB onboard to hold all those space-filling image-heavy comics. The new model is also faster than the current Paperwhite at up to 33 percent, says Amazon. All this is to help make the comic reading experience more comfortable and smooth. Try swiping between the many images of a comic on your current Kindle and see how annoying the refresh rate becomes very quickly. So what's the catch? Well, what's the one country that loves reading comics more than anyone? As the name suggests this will be aimed at Manga fans in Japan only. Yup, this is a Japanese exclusive so if you want one you'll need to get it shipped over. That or have someone you know over there buy it for you and get it to you somehow. The new Amazon Paperwhite Manga is available now for 16,280 yen which is about £125. But be warned, even the Japanese will have to fight over the limited number of these that get released so if you want one you'd better move fast. Amazon hasn't said how many constitues a limited release but there are a lot of Manga fans in Japan so we'd imagine it'll be spread pretty thin.